I must be a cookbook collector! I just counted over 30 cookbooks lined up on a shelf in my pantry. That doesn’t include my two file boxes stuffed with recipe booklets (at least a dozen with chocolate in the title) picked up in the checkout line at the grocery store or the cookbooks delegated to a bottom cabinet. I typically use only a handful of favorite recipes from each book. I still have my first, “Betty Crocker’s Cookbook”, purchased 40 years ago. I continue to rely on the pie crust, strawberry shortcake, and bean soup recipes from this cookbook! Like cookbooks, I collected many program manuals during my teaching career. Like cookbooks, I tended to try everything in the manual and then over time narrowed my focus to one or two components of the program. One of the programs I selected and implemented was “Road to the Code: A Phonological Awareness Program for Young Children” (Blachman, B.A., Ball, E.W., Black, R. & Tangel, D.M., 2000). 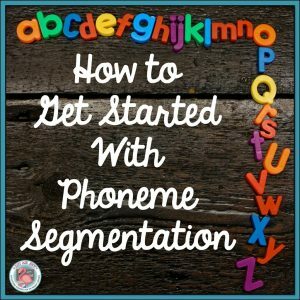 The Say-It-and-Move-It phoneme segmentation component of this program became a constant in my teaching from that point forward. 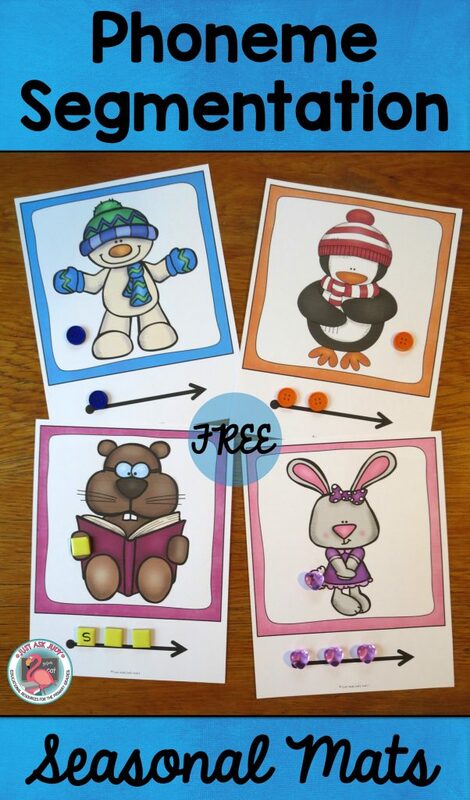 I used the Say-It-and-Move-It lessons as a daily part of my reading lessons with inclusion and resource groups of struggling readers starting the second half of kindergarten and extending into first grade, as needed. 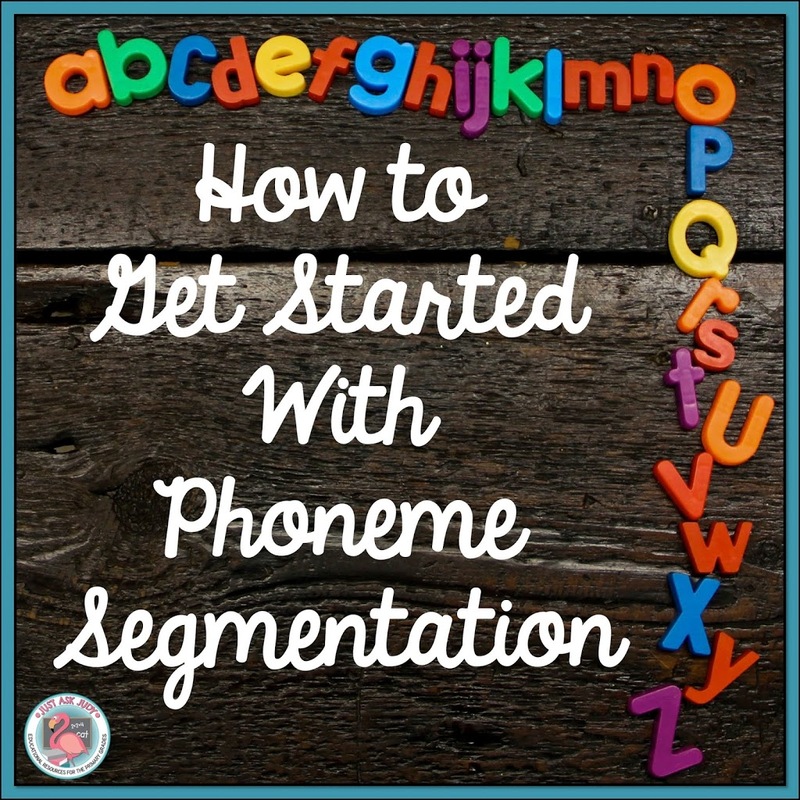 I love the carefully sequenced lessons which begin with discriminating between one phoneme (/t/) and one phoneme repeated (/a/ /a/) before introducing segmenting two phoneme (up) and subsequently three phoneme (sit) words. Each step is gradually integrated with the next. The program starts with blank manipulatives and transitions to a combination of blank and single letter tiles. The lessons are structured to provide modeling and corrective feedback. As much as I love the positives of this program, I found the Say-It-and-Move-It mats in the manual to be rather drab. I soon started creating my own mats using pictures that were appealing to my students. Horses, vehicles, and dinosaurs are a few that come to mind. I also started collecting a variety of engaging counters such as buttons, erasers, gems, and glass pebbles. 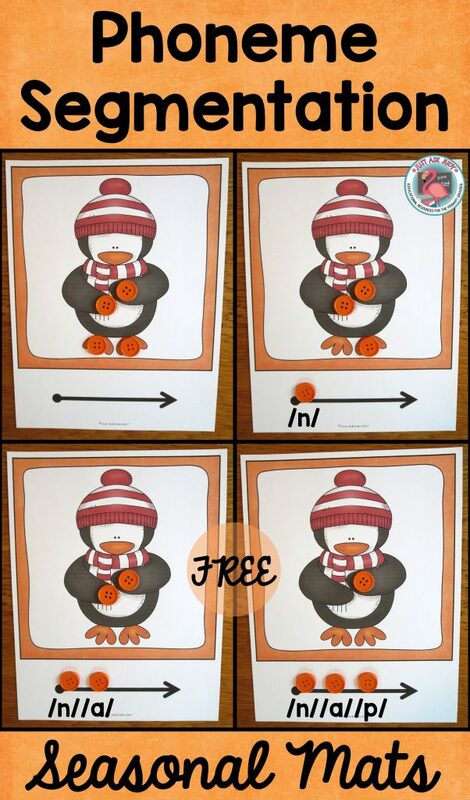 Today, I am sharing a set of seasonal phoneme segmentation mats for January and February with you. There are 12 full-page size mats in this set, each in color and black/ gray/ white. There are three each of snowmen, penguins, groundhogs, and love bunnies. While “Road to the Code” has a fabulous set of lessons, these mats can be used independently. Simply print (on card stock for durability), laminate, and add counters. Provide one more counter than the maximum number of phonemes in your lesson. Prepare your list of sounds or words to be segmented. Students place the counters on the picture. The teacher says one or two sounds or a two or three phoneme word. Students say each sound while moving a corresponding counter, placing the first counter on the dot of the arrow. When using isolated phonemes, ask students, “How many sounds?”. When using words, (after all counters are placed) students say the word again while sliding their fingers below the counters. Here are a few more ideas to use as your students progress with this important foundational skill. 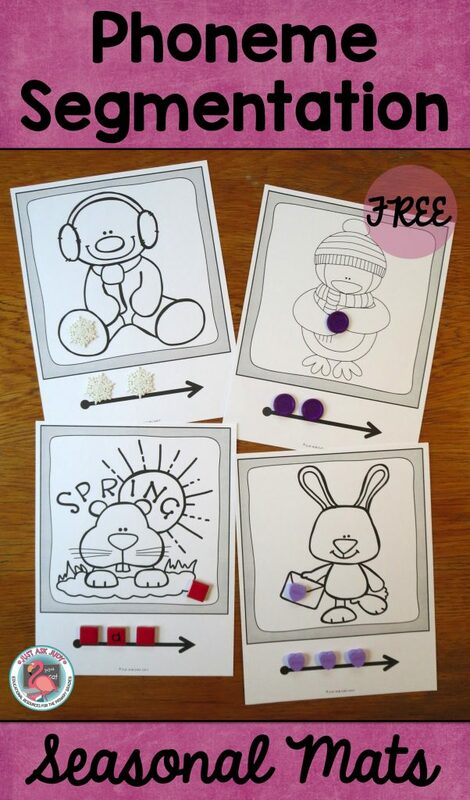 You can find additional ideas for phonological awareness interspersed on this Pinterest board, Letters and Sounds All Around. I love using the Say It and Move It activities from Road to the Code. Thanks for the mats. I know my students will love them. Thankyou for these materials. They look very engaging. I like that they sensory as well as visual.